(2400mAh of charging capacity). For heavier or larger orders we. Excellent condition, lightly used. to both parties. Compact and lightweight on-the-go universal charging solution. ( 1860 mAh of charging capacity). For heavier or larger orders we. New condition. to both parties. Carry it in your pocket or attach it to your key ring. The Motorola Connect app can even send a notification to your cell phone when power is running low. Receive notification to your phone with Motorola Connect app to let you know power is running low. USB-C Input: Up to 18W USB-PD or QC3.0 recharging. Both the USB-A and USB-C ports support up to 18W fast charging (18W shared output if both in use). (included). Trending at $8.08eBay determines this price through a machine learned model of the product's sale prices within the last 90 days. 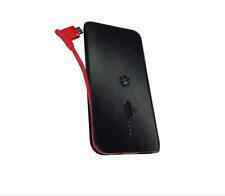 For Samsung Galaxy S3 S4 S5 Note 3. Universal charging for AndroidTM-powered devices and more with attached micro USB cable. Trending at $17.97eBay determines this price through a machine learned model of the product's sale prices within the last 90 days. 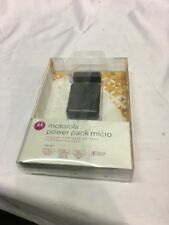 Power Bank Pack Micro Motorola Portable Battery USB Backup Charger (keychain). Condition is Used. Shipped with USPS First Class Package. Compatible with most devices that use a micro-USB port or a standard USB port. Capacity: 2000 mAh. You can also set fuel-gauging sleep settings to maximize and conserve energy capacity. The Motorola P4000 contains no BFRs or PVC and is certified carbon-free. If you're in a hurry, plug your device into the Motorola P4000 to have it up-and-running quickly. 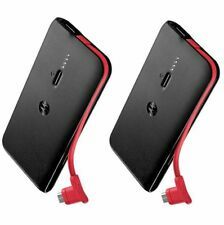 2400mAh universal portable battery for smartphones and tablets. Compatible with Android and iOS USB-powered devices. Universal support for devices capable of charging via USB port such as Moto X, Samsung Galaxy S5, Apple iPhone 5S, Apple iPad Air and Google Nexus 7. Our goal: Reduce the ecological footprint by giving a second chance to functional products, sold at the best price. Unless indicated otherwise, all of our products are tested and fully functional. - No Power Cable Included. We promise to try our best to resolve the problem and usually that is what we do. Our goal: Reduce the ecological footprint by giving a second chance to functional products, sold at the best price. Unless indicated otherwise, all of our products are tested and fully functional. 8 The Green Suite #7723, Dover, DE 19901. Slim and sleek design that fits comfortably in your pocket or purse. Have power anywhere you go. The dark canvas casing is built to withstand the daily grind. The super slim design lets you easily fit it into a pocket so you can have it with you wherever you go. Works with Android and iOS USB-powered devices. A perfect gift for the power-users on your list! Compact and lightweight on-the-go universal charging solution. This feature makes the PLS3600 a superior charging system. Power your Motorola slim, standard, extended and high-capacity lithium ion batteries. Each bay has a separate charging channel and circuit. 36-Bay Battery Charging Station. 1500mAh portable battery for smartphones. Carry backup power right on your keychain. Built-in high capacity 2400mAh. Universal Portable Battery for your convenience. Capacity: 2400 mAh. The Motorola P2000 contains no BFRs or PVC and is certified carbon-free. If you're in a hurry, plug your device into the Motorola P2000 to have it up-and-running quickly. Universal charging for AndroidTM-powered devices and more. We do not represent the fact that an OEM warranty is included with this item. Warranty Information. Condition is Used. I f you're running low this can get you through for a little while. 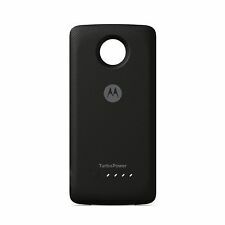 Motorola Power Pack Slim 2000 mAh Battery Pack Portable Charger . Condition is Used. Shipped with USPS First Class Package. Universally compatible with all devices featuring a Micro USB charging port. USB slot is universally compatible with all cables featuring a standard USB connector. - Built-in Micro USB Cable. - Universal USB Port. Ultra slim design lets you slip it into your pocket and take it anywhere. The natural canvas casing is built to withstand the daily grind. Power Capacity: 5100mAh MPN Number of Ports: 1 Compatible Model: Universal. Sleek and modern design. Durable and built to last. CarbonFree: Through an alliance with the Carbonfund.org, Motorola has offset the energy used to manufacture, distribute and use. Most wireless devices, including I-phone, I-Pad, Samsung, Blackberry, Motorola and HTC cell phones.